As a tech-savvy customers in 2019, we do realise that there are certain products need to be experienced before we can buy them. This is primarily due to the fact that products do more for us than ever before. They are smarter, more efficient and are large parts of our lives. 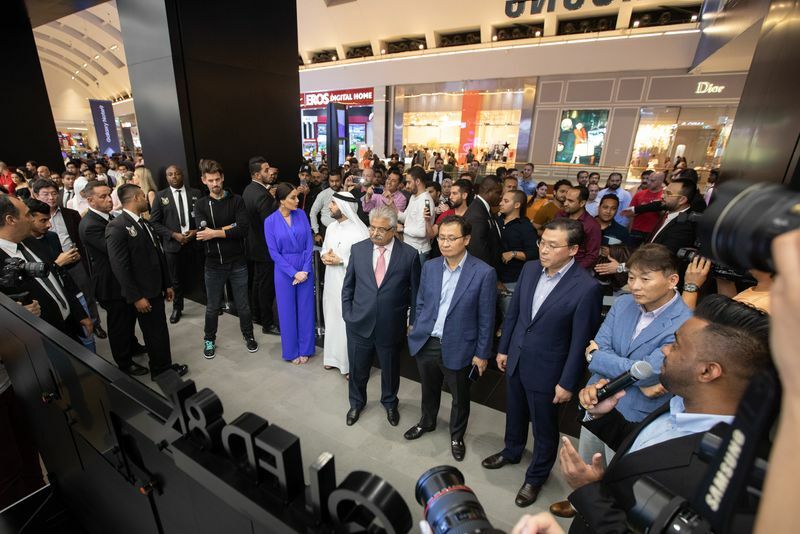 Samsung understands this need and has opened their all new Multi-Experience store in Dubai Mall. Aimed at redefining the customer experience, the newly-launched 853 square meter Multi-Experience store centers around key experience aspects – such as Connected Living, gaming, photography and television – by showcasing Samsung’s technological heritage in line with the dynamic and changing trends of the modern-day consumer. - Chung Lyong Lee, President – Samsung Gulf Electronics. You will be able to experience Samsung’s range of cutting-edge offerings, which will be interactively displayed. 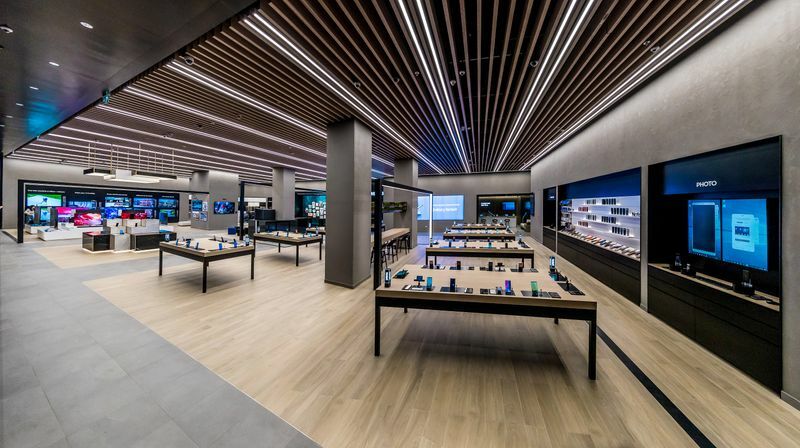 Customers will have the chance to experience the superiority of Samsung’s products through an array of customer experience highlights in-store. If you’re looking for a washing machine, you can check out Samsung’s QuickDrive Washing Machine in all its glory as well as understand what it would be to use it on a daily basis. Do you know what the Samsung WindFree AC is? You can check out all this and much more in the ‘Connected Home Appliances’ zone. If you’re wondering what gaming on a gorgeous Samsung TV is like, there’s a ‘Gaming’ zone. They say the pen is mightier than the sword but have you seen what the S Pen can do? Don’t miss the ‘S Pen Gallery’. Something you definitely shouldn’t miss is the ‘Connected Living’ section in the store. Samsung believes and invests in a future where every home will be a connected space and thus its products are also future-ready. The ‘Connected Living’ section gives you an idea of what life is going to be in the very near future. Whether it be your fridge telling you that you need to buy more milk or your smartphone understanding that you have left home and switching off all unnecessary lights and appliances to save energy. Samsung wants it all to be possible for its customers. 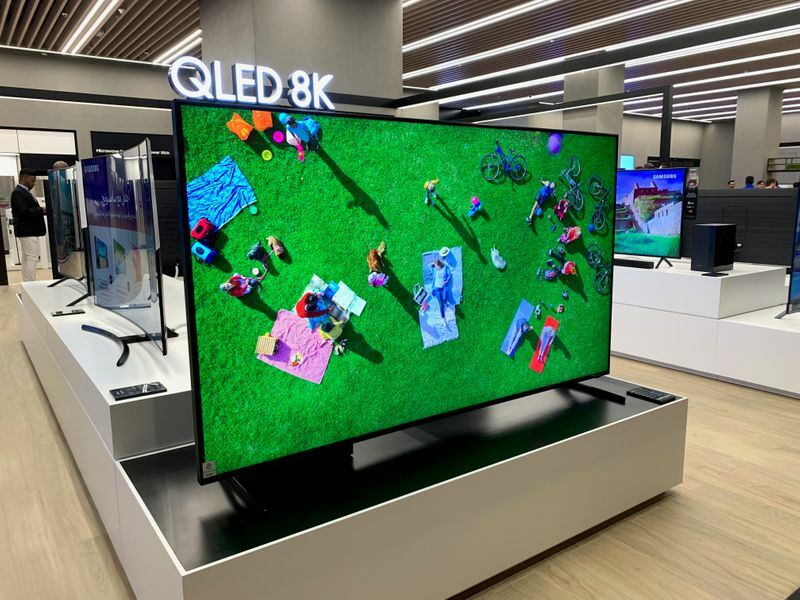 Pro-Tip: DO NOT miss Samsung’s brand new QLED 8K television which was announced at CES 2019 just a week ago. 1) Every Sunday 7PM – You get to learn the Tips and Tricks of the Samsung Galaxy. Customers will get an in-depth look at achieving the most out of Samsung Galaxy devices. 2) Every Monday 7PM – Learn how to be creative with the powers of the S Pen. 3) Every Tuesday 7PM – Now this one is a biggie. You can visit the store to learn how to capture those special moments and document them in to lovely movies to share with family and friends. 4) Every Wednesday 7PM – Come on down to the Samsung Multi-Experience showroom and learn how to get the most out of your smartphone camera. During the Dubai Shopping Festival, Samsung fans that participate in celebrating the opening of the store will have the chance to win instant prizes through an interactive Augmented Reality ‘Scratch and Win’ promotion. Samsung takes the customer retail experience a step further with an extremely premium customer service area. The area will offer a convenient space for customers to bring in their products for repair. It also comes with one-on-one consultants who can help customers with any Samsung-related queries they might have. Through all these experience zones, Samsung will gives customers a look into their innovative future, connected solutions in day-to-day living and more importantly their dedication to the enhancement of our daily lives.